As a long time resident of Piedmont, the Moscato grape (Muscat Blanc) is one of Italy's most eager wine ambassadors. Moscato tends to be a popular white wine among new wine lovers and enjoys a significant following with seasoned wine enthusiasts who enjoy a lighter-styled wine with brunch, dessert or on its own as a capable aperitif. This unique wine is often labeled simply as "Moscato" or if it's bred and born in Italy's Northwest region of Piedmont, it's seen sporting its full name of Moscato d'Asti (named after the grape, Moscato, and the Italian town of Asti). A close relative of Piedmont's Asti Spumante, Moscato d'Asti is generally produced in smaller quantities and in a more delicate style than Spumante. Today, Moscato is seeing a surge in wine fans around the world and is made in many wine regions outside of Italy, with the U.S. and Australia taking a particular interest in introducing Moscato's sweeter side to enthusiasts near and far. Moscato is known for its surprising perfume-like fragrance, light-body, semi-sparkling, spritzy character (frizzante), lower alcohol content (typically to the tune of the around 5-8% abv) and its dazzling fruit-forward palate profile with a welcoming sweet factor. The wine's color steers towards straw yellow with occasional tinges of gold. Moscato's inherent aromatics are simply stunning - orange blossom, honeysuckle, almonds, ginger and ultra-expressive fruit dominated by green grapes, citrus tones, and ripe peach nuances. On the palate, you can expect an impressive lineup of fresh, forward fruit with sugar levels ranging from semi-sweet to sweet and wrapped in medium acidity. From pear and apple to orange and lime with consistent appearances in the ripe, juicy peach and apricot category, Moscato's flavors are extraordinarily fruit-filled. The delicate cascade of bubbles, light body, and sweet surprise culminate to woo and win many unsuspecting palates to the wide world of wine. While the Moscato wines sold at lower price points typically exhibit a fruity focus with a decent dose of sweet in the mix, the higher quality Moscato steers quite clear of sugar-soaked fruit and brings a vivid spotlight to ripe stonefruit, with apricots, peaches, and an intoxicating florality eager to steal the show. Pink Moscato has captured quite a few fans in recent years. Typically made with the Muscat Blanc grape and a touch of red wine, Pink Moscato can also be a blend of the Black Muscat grape as found with Innocent Bystander's Pink Moscato. Intended to be consumed young, while it's fresh and vibrant, Moscato needs to be served well chilled and is downright delicious with apple desserts, fresh berries, summer salads, meringue pies, peach cobbler, hazelnut desserts, and lemon-poppy bread and cakes. Moscato also pairs particularly well with spicy Asian fare (think Thai, Szechuan, Korean), as the sweet from the wine tames the heat in the food. While dessert is Moscato's forte, cheese courses, charcuterie or antipasto plates can be perfect pairings for Moscato d'Asti wines. Its versatility, when carrying a balance of sweet and acidity, along with lower alcohol also make Moscato an ideal aperitif candidate, though it has certainly earned its stripes as the wine world's most fashionable brunch-time guest as well. 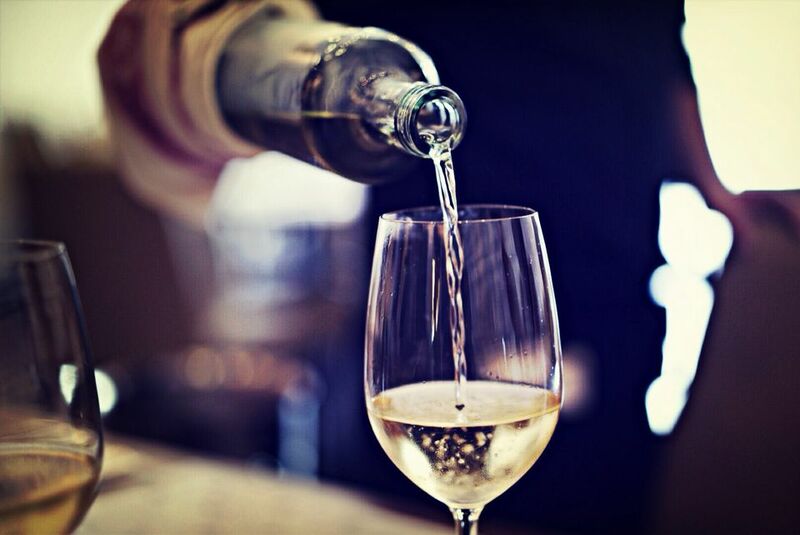 With good pricing, a unique palate presence and a style that enjoys popularity the world over, Moscato is a wine that finds friends in all circles. Fun, festive and full of sweet flavor, this is a white wine sparkler that can start a party, make a brunch or wrap its vino versatility around your favorite confections. For those looking for bargain bin wines, Barefoot and Flipflop bottle a Moscato at the $6 mark.